I love the quilt pattern you made with the trees and the flying geese but yes, sometimes the things we had in mind look better there than in reality. I have this problem right now somehow the background is not right and the fabrics I choose don't ahve the right color. Glad it's just a little quilt (Mini Stem for the parade) and the quilt I've made somefar is still looking good just not what I had in mind. Hope you'll find the solution for your quilt problem. Morning. I'll add my two cents to your post, but I'll try to be brief with my words. First, I see the geese flying in the same direction. I can see a more realistic geese flying V shape starting on the top left coming down at two angles. Not straight angles, but more feathery and a bit random with the flying geese. I'm probably not making sense, I'd have to draw out a picture for you. The second option I see is a more falling leaves type style keeping the flying geese pointing up in the same direction, but really heavy with the flying geese on the top gradually lessening them to the bottom of the quilt to only a few at the bottom. 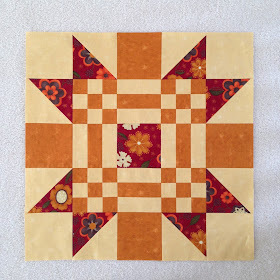 I know that I am a 100% symmetrical kind of girl, and my eye needs some type of symmetry in your quilt. You are a brave girl for trying and thats a great thing, Thelma. I'm proud of you. Have a great day. Thelma - I am thinking that perhaps some of your geese blocks need to be wonky, so adding some wedges around the sides of a few might help and perhaps a few of the geese should be a large size. Either that or they should be flying in wedges like geese do in real life. I know what you mean about loving a fabric and they trying to figure out how to make it work in a quilt. I just un-sewed a huge section of a quilt top because I didn't care for one of the accent fabrics I had thought would work and I have seen you do the same with your beautiful embroidered Halloween blocks, so when the "Ah-ha!" moment hits, you will be ready. I like some of the above suggestions too. I agree with Tracey on placement. I personally don't care for the background of the geese, I think it is too dark, but I love the idea of this quilt, and sympathize with you in your disappointment. Whatever you eventually come up with for the flying geese will be beautiful -- I have complete faith in your resourcefulness! That new block is absolutely stunning! What a gorgeous quilt that will be. A lucky sister-in-law indeed. Sometimes it really is about the journey and not the destination. I agree with you on that. After all, the journey is the fun part. It's nice having a good finished product, but often I'm not totally thrilled with it. I may like it ok, but not love it. But the journey was a blast! I follow your blog but do not have my own. I wonder if you added a skinny orange border around your field of geese if it might contain it a bit. I like your idea, but wonder if you could change the format. Maybe if you did a band of geese , a band of border, another band of geese, etc. Make the geese bands various different widths, maybe a string of geese could fly through the tree bands, keeping a flow between sections going. I would just play with it. You have nothing to lose and lots to enjoy. Have fun! Your geese are beautiful. I think what it needs is contrast, either in value or scale. It all looks similar so there's nothing to move your eye around the quilt. You will find an idea and it will be wonderful! 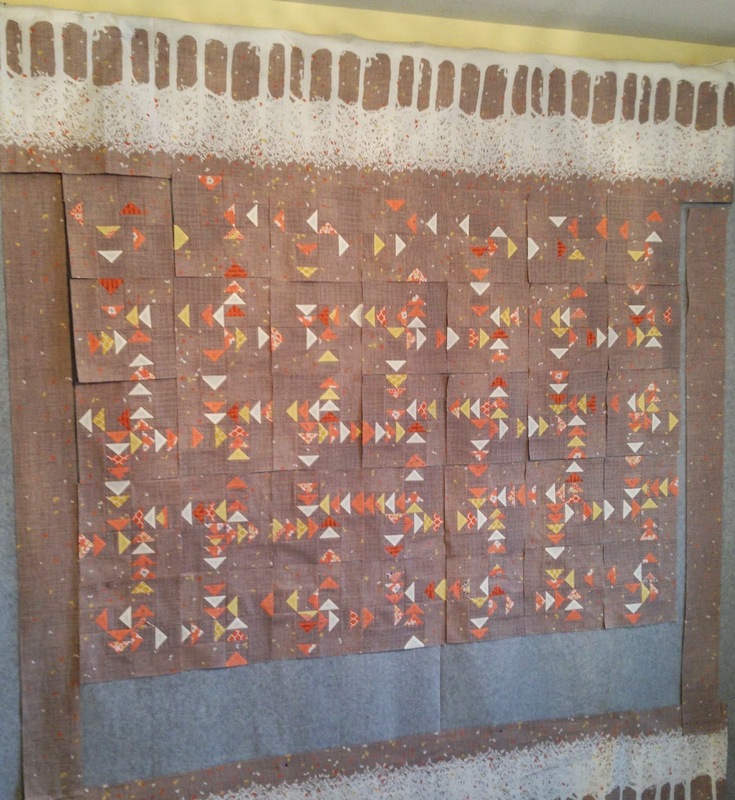 Just took a look at your instagram post with the "pattern" in your project box....love that "pattern"....think your quilt would look great with all the flying geese...not with the "missing" geese....love the fabrics you're using...especially the border...good luck!! So glad to know this happens to other quilters too! 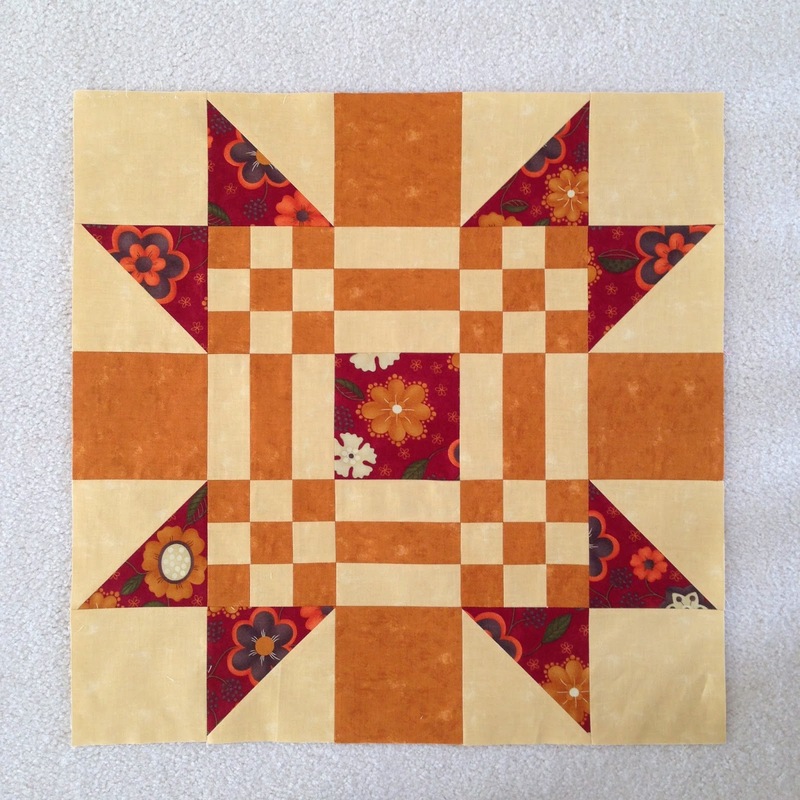 Hi Thelma - I love the new block and Sandy Gervais fabric. As for the flying geese project - maybe a few less geese and more scattered? 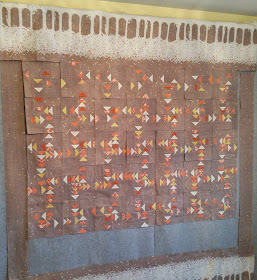 Or, how about using those tree borders for a table runner with a few rows of geese down the middle? I've had projects go south too and I agree it's disappointing, but i think you're right to focus on the journey. Thelma- maybe you could try adding a thin border of a contrasting color btw the geese and the borders. Also, have you tried turning the tree fabric around so that the tree roots are near the center and the branches toward the outside?